The opening scenes of Selma immediately set the tone for the state of America. The Civil Rights Movement is in full swing across the United States, causing backlash and retaliation in several forms. Martin Luther King [Oyelowo] receives the Nobel Peace Prize, children are killed in a racially motivated bombing of a church, Annie Lee Cooper (Oprah Winfrey playing an oppressed citizen of Selma) fills out the forms and jumps through the hoops to register to vote, only to be denied by the registrar. Hearing of the treatment of those in Selma, King and members of the Southern Christian Leadership Conference travel to the small Alabama city to hold peaceful, non-violent protests. Everyone involved is mistreated by the local law enforcement and tensions grow between the Governor of Alabama [Tim Roth] and President [Wilkinson], who wants to keep the public eyes off the voting rights and on his own promoted policies. All too often, message pieces are weighed down and trapped by the principles they are trying to convey. The dialogue comes off as stilted and unnatural, the morals are diminished to finger pointing lectures and the infallible characters are simply alien and unrelatable. 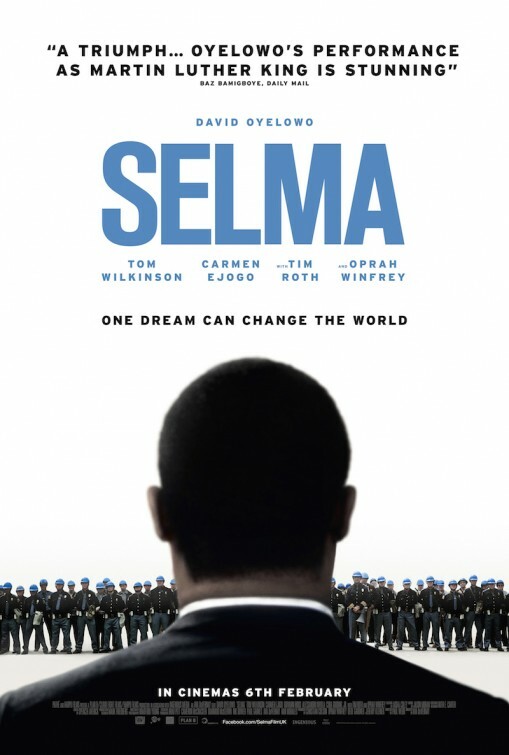 Thankfully, Selma side-steps all of these pitfalls and demonstrates that one can portray a powerful and important segment of history without romanticising the events or elevating those involved to an unrealistic saintly level. In other words, Selma is an approachable look at a key point in the evolution of tolerance in the United States, whilst reminding audiences that inequality still runs rampant today. At the forefront of this release is a wealth of immensely talented individuals delivering energetic and gripping performances. Admittedly, wanting to be associated with a film about equality, several prolific actors and cameos come out of the woodwork to such a degree that their presence really takes you out of the moment. Oyelowo gives a wonderful and very human performance but partly lacks the charm and charisma of his real-life counterpart causing him to blend in with the crowd somewhat, rather than standout from it. To me, some of the really standout roles belong to Carmen Ejogo as King’s wife Coretta, who fully supports the cause but sees her family being lost and consumed by it, Wendell Pierce as activist Hosea Williams and Andre Holland as the impressionable a young Andrew Young. Equally, Tim Roth gives a superbly malicious and despicably credible turn as the southern Governor Wallace, who remains fervently against desegregation. Though his career is still blooming, Bradford Young’s cinematographic penchant for shadow and interiors lit solely by available light is beautifully presented here. Combined with DuVernay’s direction, the film swells visually with vibrancy and life without resorting to many of the clichéd elements that period dramas usually elicit. The production value is equally high, adding several aesthetic layers to the already detailed finished piece. The only technical area that seems to falter somewhat is the musical score. It’s not that there’s anything outwardly offensive or displeasing about it but it lacks any real weight and gravitas outside of the typical melodic style utilised in made-for-TV dramas; which is a great shame considering those involved. The pacing is also worth a note, flowing neatly for two solid hours without draining or overwhelming the audience – aided by the script’s sparse moments of levity amidst the anguish. While I believe there is an artistic reasonability to accurately represent history, cinema is first and foremost a storytelling medium and if we get too bogged down in the minute facts and details of events and portrayals, we end up with a very bland depiction of what should be a rousing representation. Those with first-hand experience seem to be praising the film’s accuracy while condemning the portrayed actions and conduct of President Johnson. Personally, I think the scripts’ handling of Johnson’s struggles with racial bigotry in the government and the slow-moving political system is more than adequate without damaging the legacy or reputation of the man himself. In truth, the key talking points should be focused more on things like changes to the law that were actioned and largely ignored by the disillusioned individuals in charge. The fact that the black populace already have the vote at the start of the film but are kept out of the registration booths because they cannot apply to vote without a registered voter personally vouching for them. And with the registered voters being white the likelihood of getting anyone on the electoral system is minimal. The fact that national change was put into law and openly ignored is more important than whether or not the President did or didn’t argue with Martin Luther King down a phone. Events you would assume are important, such as Malcolm X’s involvement and subsequent assassination were rather hurriedly gleaned but this only serves to remind us that Selma isn’t a movie about one man, the issue is so much bigger than that; hence the title. But by focusing on an important segmented turning point, we are able to fill in the gaps and glimpse the personality of the man at the head of the movement. A film of this nature is all about powerful scenes – it has to be in order to convey the importance of what is being said. One of the most shocking moments comes right at the start of the film. A small group of children are descending a staircase in their Sunday best, discussing various trivialities that children innocently preoccupy themselves with. Without warning an explosion rips through the wall killing everyone on-screen, sending a shockwave across the country. Brutal acts, brutally illustrated are the backbone of any film about the civil rights movement and this particular example sets the tone and urgency for change that echoes throughout the film. More often than not, the standout performances in films focusing on inequality are the villainous characters. Not because they are better or worse than the inspirational roles but because they stir such a deep and passionate hatred in our system – which is an extreme (if odd) compliment to pay any actor. As such, Tim Roth’s calculating and vicious delivery of frankly abhorrent dialogue makes ones skin crawl and sets him aside as a chilling example of the abuse of power in line with a questionable moral compass. 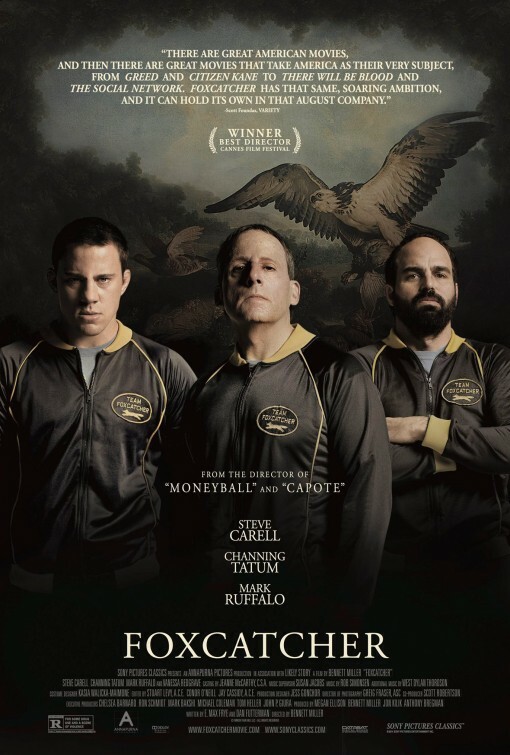 Foxcatcher tells the real-life story of 1984 Olympic wrestling gold medallist, Mark Schultz [Tatum] and his modest lifestyle in between professional bouts. He lives a solitary life constantly in the shadow of his more affable older brother Dave Schultz [Ruffalo], who is also an Olympic gold medallist. Out of the blue, Mark is contacted by representatives of the obscure and eccentric John DuPont, heir to the DuPont fortune and a wrestling enthusiast. DuPont explains to Schultz that athletes have been let down and forgotten by their own country and he feels it’s his civic duty to provide the means necessary for them to be great. Flattered, Mark agrees to head up the Foxcatcher wrestling team. The only other stipulation that DuPont requests is that Mark’s brother Dave join the facility too. Not wanting to uproot his family, Dave turns the offer down but wishes his brother all the best. As various competitions approach, Mark moves onto Foxcatcher Farms and is slowly exposed to his benefactor’s absurdity and unpredictable nature. First and foremost, this is a character study and any success this film has is owed to the central performances. To my mind, Ruffalo has always been an acting powerhouse who has too often been relegated to background supporting roles – it’s only in recent years that his talents are beginning to be appreciated. Tatum and Carell, on the other hand, as talented and popular as they are, had yet to undertake a drama of this demand but both excel superbly. Unfortunately, like all biopic features, the supporting cast are wholly neglected and potentially interesting figures such as Dave’s wife, played by the unrecognisable Sienna Miller and DuPont’s mildly eccentric and equine obsessed mother [Vanessa Redgrave] are regrettably overlooked. Yet despite their diminished screen-time, both actresses ensure that their roles are memorably presented to the audience. Additionally, the way in which the film is made relatable is quite impressive. Contemporarily speaking, all one need do to make an audience identify with a character is to show they’ve been let down by society. With economic crashes and slow recoveries, the public really root for the downtrodden and neglected (no matter how successful they outwardly appear). In this case, we have an Olympic gold winning athlete – not exactly the most identifiable of individuals – but he still lives in moderate conditions and doesn’t exude the lavishness one assumes success automatically provides. On top of that, his older brother is in the exact same position but has made a more prominent name for himself and lives a happy life with his wife and two children. It’s this curious everyman, Faustian, cautionary tale element that makes the story painfully intriguing and sets an air of unease from start to finish. If I had to summarise the entire film with one word, I would opt for ‘quiet’. From the direction, to the editing, the sound design, the music, the performances, everything is quietly and neatly contained beneath the surface. The tension is so slow burning that you would be forgiven for wondering if it was ever going to peak. But this all seems to service Foxcatcher rather well, as if to imply that you know some terrible event is coming but you arguably don’t want to experience its inevitable denouement. However, one thing the film lacks is a real exploration of the situation. There’s plenty of implication and insinuated instability but no outright definition to clarify for the audience. However, this can be argued two ways: either it’s an explicit decision by the writer and the director to portray the facts as known and as perceived at the time by those involved or alternatively it’s an unfortunate case of performance and bold direction overtaking closure and narrative clarity. Personally, I believe this was wholly intentional. From the title of the release, to the content, to the manner in which it is depicted, the whole Foxcatcher farm tale feels like a tragic death at the hands of a cult leader. At the centre, you have this mysterious, powerful and oddly charismatic figure who lures in a susceptible, naïve individual and uses that position of power and authority to shape how this person effectively lives their life, whilst displaying wildly mercurial mood swings. Even the production design supports the notion of cult and in a way, one could draw more parallels between Foxcatcher and something like The Master than any sporting-related feature. Is Foxcatcher a good movie? Without a doubt. Is it an entertaining movie? Admittedly, that depends heavily on your personal taste in narrative. But one thing the film is, is mature. So many key components are handled with a subtle complexity; the acting is frankly career highs for the principal cast, Miller’s direction is executed with the utmost confidence, Grieg Fraser’s cinematography simultaneously compliments and overtakes his previous work and the partnership of Frye and Futterman’s scripting is bold, compelling and darkly intriguing. Granted, we could have explored the peripheral characters more, or analysed the levels of DuPont’s insanity but I think the final presented content more than does justice to the story being told. Each character has more than a few standout scenes but one that I found particularly interesting takes place in the third act. DuPont has arranged for a camera crew to follow his work at Foxcatcher and interview those involved in the training. David is asked to take part in a single talking-head interview and fed several loaded questions. Despite trying to answer as honestly as possible, the director highlights David’s deflection and regrettably explains that David is expected to use the exact words, “John has been like a mentor to me.” David’s final begrudged delivery of this line is subtly crushing and Ruffalo conveys so well how much self-loathing is at play here. To reiterate what I’ve said above, this movie is a standout accomplishment for Carell and Tatum. Both actors have more than proved their worth in overt comedic performances but I have stated on many occasions that comedy comes from a place of pain. No right minded human being sets out to make people laugh, it’s usually a defence mechanism that comes from somewhere very dark. That darkness ensures that comedians will always give you surprisingly cutting dramatic performances, given half the chance. Carell and Tatum are no exception. 1. What type of mythical creature is Louis in Interview With A Vampire? 2. What type of animal is the central focus of Happy Feet? 3. Who plays the lead role in Coming To America? 4. Who directed Dances With Wolves? 5. What is the first film in Sergio Leone’s dollar trilogy? 7. The 2007 film Once is predominantly set in which country? 8. What instrument does Dewey Finn (Jack Black) play in the school band in School Of Rock? 9. Who played the role of Tony Blair in The Queen? 10. Holly Hunter, Harvey Keitel, Sam Neill and Anna Paquin all appeared in which film? 1. Who directed Gone Girl? David Fincher? Michael Bay? Barry Levinson? 2. Which of the following nicknames is not given to Nick (played by Stephen Marcus) in Lock, Stock & Two Smokin’ Barrels? The Greek? The Pig? The Bubble? 3. Who played the role of Nick in The Deer Hunter? Robert De Niro? John Cazale? Christopher Walken? 4. The victim killed at the start of Basic Instinct is Johnny Boz, a retired what? Rock star? Policeman? Journalist? 5. Horrible Bosses was released in which year? 2010? 2011? 2012? 6. What is the name of the band that Nick and Norah are trying to locate in Nick & Norah’s Infinite Playlist? The Jerk-Offs? The Torah? Where’s Fluffy? 7. What Women Want is set in which US city? Chicago? San Francisco? Boston? 8. What is Sam Rothstein’s (played by Robert De Niro) nickname in Casino? Fingers? Ace? Buddy? 9. What are the names of the two characters played by Lindsay Lohan in The Parent Trap? Susan and Sharon? Penny and Jane? Annie and Hallie? 10. Samuel L Jackson (as Nick Fury) appears in every Marvel Cinematic Universe film (to date). True or False? 1. Which director wrote the script for the Tony Scott film True Romance? 2. The Kite Runner is set in how many time periods? 3. The following is the poster tagline for which film, “The most terrifying motion picture from the terrifying number one bestseller”? 4. James Caan played the role of Paul Sheldon in which 90’s film? 5. What colour is the diamond that Solomon Vandy finds and subsequently hides in Blood Diamond? 7. What is Irwin Fletcher investigating when the executive vice president of Boyd Aviation approaches him with a murder proposition, in Fletch? 8. Joel Barish and Clementine Kruczynski are the lead characters in which film? 9. How many organ donations does Ruth undergo before ‘completing’ in Never Let Me Go? 10. How old is the title character at the start of Juno? 1. Who did Margaret Hamilton famously play? The Wicked Witch of the West – The Wizard Of Oz? Blanche DuBois – A Streetcar Named Desire? 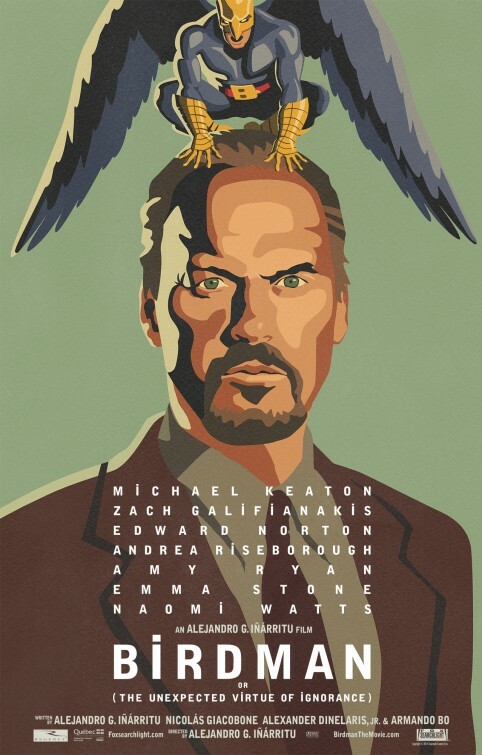 Melanie Daniels – The Birds? 2. How composed the music for North By Northwest? John Addison? Bernard Herrmann? Franz Waxman? 3. The following songs are from which musical: Barn Raising, Lonesome Polecat and Spring Spring Spring? Funny Face? Calamity Jane? Seven Brides For Seven Brothers? 4. How are Charlie and Johnny Boy connected in Mean Streets? Friends? Brothers? Cousins? 5. How many droogs make up Alex’s gang in A Clockwork Orange? Two Three? Four? 6. What is the name of the horse that Lonnegan bets $500,000 on in The Sting? Steely Shaw? Joyous Day? Lucky Dan? 7. 42nd Street was released in which year? 1933? 1943? 1953? 8. The following films all featured which actor: Bringing Up Baby, Arsenic And Old Lace and An Affair To Remember? James Stewart? Cary Grant? Kirk Douglas? 9. Akira Kurosawa was born in which year? 1896? 1902? 1910? 10. Gene Kelly’s iconic dance scene in Singin’ In The Rain was achieved in one take. True or False?